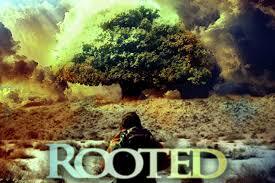 Episode two of the Rooted Series takes us back to the beginning of time and to a time before time. It is here, outside of the created order that God took the raw material of His very nature and cast it like a living dye into the creation. This understanding is a building block for those determining to live a faith-based and faith-filled life. Take a listen and discover perhaps a new cornerstone to your faith as we week to re-frame our lives into a living adventure.